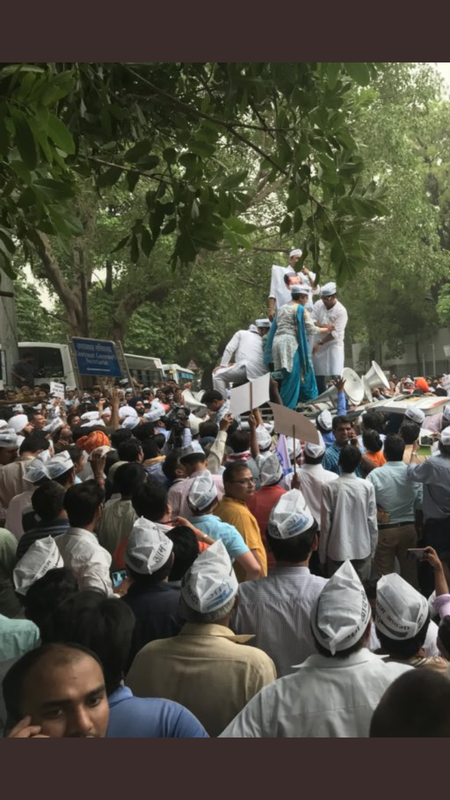 AAP Organizes massive protest outside LG house, Delhi Logjam continues for third day! Aam Aadmi Party today organized a massive protest outside LG house. Thousands of party workers led by different MLA’s and senior AAP leaders thronged the roads as part of large protest march. The march started from CM house and was stopped before street leading to LG secretariat. The protestors continuously raised slogans against LG and Central government. Meanwhile Manish Sisodia has also started his hunger strike inside LG house whereas Satyender Jain is on the second day of indefinite fast. AAP leaders are demanding LG’s intervention to end alleged IAS strike in Delhi. Photo Highlights : NHRDN 6th Human Capital Conclave 2018!